The most important aspect of the May fed rep council was Ellen’s officer report. Ellen wove a tale of woe about the division of the unified and blissful ATF/APS family. In order to set the stage, Ellen began by emphasizing the extreme importance of the close, familial relationship she shares with district leadership. Ellen would have us believe that the close-knit relationship between boss and union serves the worker and is crucial in the maintenance of our school district. What a happy family! After working to convince the rank and file that her cozy relationship with the boss is tantamount to our well-being, Ellen spun an extensive story about the villainous forces that seek to divide the family. This division, according to Ellen, would result in the PED’s unilateral decision to split the district in half, consequently busting the union. Ellen first laid blame on the governor and her secretary of education based on their malicious attempts to create chaos, defund public education, punish teachers and move toward privatization. She was right about a couple things. The state holds much of the blame for the ongoing crisis in public schools in New Mexico. Let there be no doubt, Susana Martinez and Hannah Skandera have a particular agenda that aims to decimate public education, with the presumed end goal of privatizing schools. The nefarious standardized tests, teacher evaluations and misleading schools grades have been forced upon us all to great detriment. The policies of the current administration are patently egregious and should always be acknowledged as a problem facing public education. The next force seeking to split our district and our union, according to Ellen, is The Albuquerque Journal, which serves as a mouthpiece for the governor supporting her policies and consistently slamming district leadership and teachers. Here, we must draw a distinction. While the journal should never, under any circumstances, slander the qualified and hard-working teachers of APS, their criticism of the district can be accepted or discarded with critical inquiry. Let’s ask some questions of district leadership, shall we? Why did you idly threaten to cut middle schools sports? Why have you unceremoniously proposed a multitude of budgetary ‘solutions’ that threaten the jobs and livelihoods of the rank and file? Why do 35 people in district leadership make 6-figure salaries that, in some cases, quadruple the salaries paid to the rank and file? Why do you continue to insist that your process is transparent when it clearly is not? Before the union gets too warm and cuddly around the family campfire with our employer, let’s demand the answers to these questions. When our schools and jobs are under attack, we deserve information! Ellen’s saga of the malicious and evil forces seeking to bust the district and the union seemed to be leading up to an attack on AlbuCORE. Members sitting in the crowd were anxiously awaiting the inevitable onslaught that we’ve experienced so many times before. Before homing in on AlbuCORE, Ellen first addressed the walkout that occurred at AHS the day before. She claimed that the student-led walkout on May 1 was a direct attempt to align with the governor and the PED. This assertion is absurd. How can Ellen possibly claim that a peaceful protest by students to demand their human right to an adequately funded education is meant to support the governor’s policies of defunding and privatization? How can she so callously toss aside the eloquent voices of aspiring young activists who seek to save their schools? While ignoring the autonomy and bravery of young people in our district, Ellen shamefully asserted that this walk out shows that AlbuCORE is in league, if not in fact, by virtue of association with Susana Martinez and her mouthpiece, the Journal. Instead of taking this line, union leadership should have honored and applauded our students for taking a stand. As if insulting our students for exercising their constitutional rights was not bad enough, Ellen then went on to threaten anyone else who might be inspired by this bold move. Ellen stated that the district would be investigating the walkout. While staring down fed reps from AHS, Ellen stated that people’s employment was in jeopardy and teachers would not be protected by the union. An investigation has since occurred at AHS in which AlbuCORE members have been unfairly targeted; one can only assume that Ellen was true to her word in fully cooperating with the boss by eagerly handing over the names of her political opponents. This is deplorable – can you imagine a union president colluding with district leadership to enforce disciplinary action against union members? Unionism indeed! The meeting rapidly deteriorated and ceased to be a union meeting. Ellen was using her platform and microphone to air her personal grievances against AlbuCORE. In fact, she told AlbuCORE members who wished to speak to put their hands down because she was “sick and tired” of us. When a member tried to stand and speak, she was told she was ‘out of order,’ ‘not a real union member’ and to ‘sit down and shut-up.’ So much for union democracy. It must also be noted that this meeting occurred on the same night as the constituency election vote count was to occur. The AlbuCORE slate had a great showing in this election which clearly threatened the status quo. Ellen has grown more caustic and aggressive toward AlbuCORE members as our message of rank and file solidarity gains ground. The fact that she would jeopardize the majority of teachers at AHS in an attempt to rid the union of a few dissenting voices is testament to the lengths to which she will go to maintain her power. Let’s be clear. 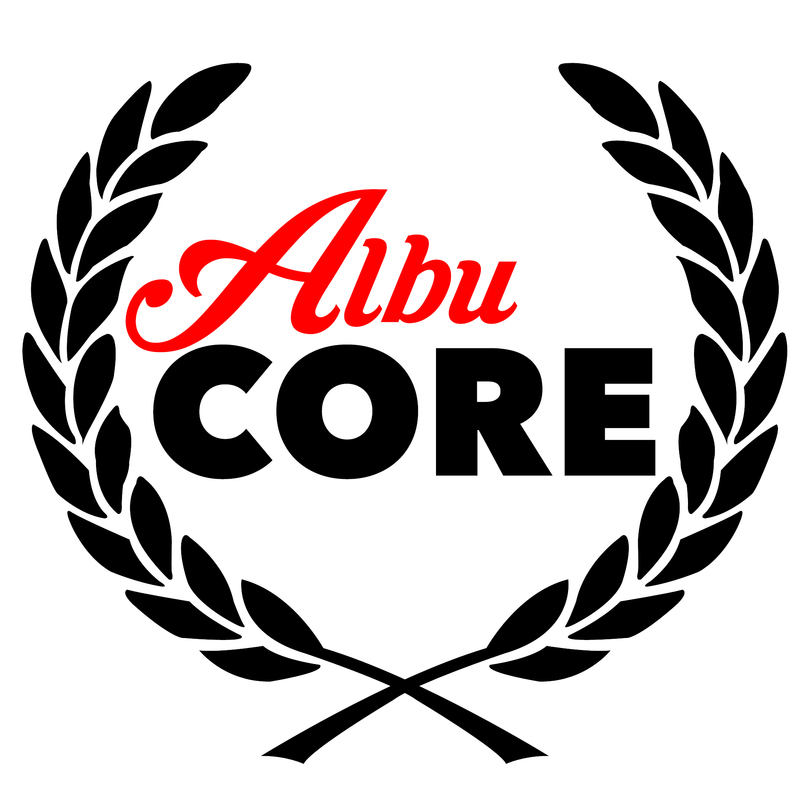 AlbuCORE is here to strengthen the union, not break it. We believe the power and solidarity of the rank and file is more important than the sitting leadership. We believe in social justice for all who live in our communities, a living wage for teachers and adequately funded classrooms so our students can learn. We believe that direct and collective action will take us there. Unite and resist! Congratulations to one of AlbuCORE’s own!